Kincaid Furniture Reviews and Styles - Quality Handcrafted Woodworking! Last Updated: April 21st 2019: There is nothing like good quality woodwork. It’s the backbone of the furniture industry and getting the right hardwood products can make your home look incredible. Unfortunately over time there seem to be less reputable woodworkers around with a passion for the craft. In this Kincaid furniture reviews guide you will learn all about Kincaid's beginnings, the types of furniture they produce, this furniture's quality, and their furniture warranty policy. Kincaid have been working with wood since 1946 and started from very humble beginnings. Based out of North Carolina they made hardwood furniture by hand and sold locally. Over time they’ve put in new practices and used new techniques to keep the company moving forward and ahead of the curve. Kincaid brings old school furniture making to the 21st century similar to Bernhardt Furniture and Levin Furniture. Fast forward to 2017 and Kincaid are still practicing their craft but on a much bigger scale. One of the most well known and respected brands, Kincaid take pride in what they do and even though they have adapted with time they still respect the age old craft of woodwork. The furniture they produce still uses solid hardwood, english dovetails, and hand rubbed finishes. In a lot of ways this is what defines Kincaid as they have managed a successful marriage of tried and tested techniques with modern technology and twists. The result has led to the creation of a number of different products which are uniquely beautiful and extremely innovative. Kincaid have grown their product lines massively in the last 30 years to meet the huge demand. They now have product lines for all over the home, solving the problems facing everyday Americans. Kincaid now have a wide selection of solid wood products but also upholstery which has been made with the same attention to detail as the rest of the range. This custom upholstery is perfect for the living room with specially designed sofas and chairs built for relaxation. They also have a number of different styles of furniture which works well all over the home giving an air of class and sophistication. Kincaid produce collections for the bedroom, living room, dining room and accent pieces. Within each of these categories there is a lot of choice and you aren’t limited to any one specific style and colouring. At the heart of each of these pieces is the hardwood underneath and that is where Kincaid’s passion is. They know how to craft with solid wood and make incredible pieces that aren’t only useful but are distinctly recognisable for their style and beauty. 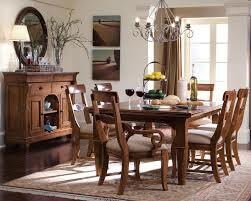 Within the solid wood range offered by Kincaid there are a number of different collections. Each have distinctive names to keep them separate but some of the most popular seem to be the Wildfire, Montreat and Portolone collections. Each of these uses different types of wood for their unique colouring which is enhanced by the finishing techniques. It’s then molded into the styles they want. The ranges on offer all lean toward the traditional and classic look which solid wood pieces are best for however there are a number of different options available. Some more modern units work well in less traditional homes but still give that classic feel. Within each of these ranges you’ll find that there are a lot of different pieces available. Each of these feature the same colouring and are designed to complement each other. This allows you to choose benches, chairs, tables and even mirrors which will work together and transform the entire room. Different accessories are available for each style with unique features like metal handles, alternative finishes and custom storage solutions. This is what keeps the whole range innovative while offering traditional style. By using modern techniques with traditional materials they’ve allowed for the perfect blend of utility and style. It’s a classic look offered by the solid wood collection and the finishes used only enhance the natural colouring the wood brings. Each unit has it’s own quirks and gives a one of a kind feel to the furniture. If you are interested in taking care of this wood then I'd suggest you take a learn to keep your wood looking good with Watco teak oil! The strength of Kincaid comes in the materials they use for every single piece of furniture. They use good quality wood which is consistent and has to stand up to a lot of scrutiny before being used in the furniture. Over the years they’ve established great connections so the consistent quality can be assured. 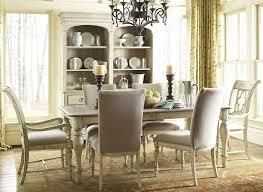 The quality is also assured by the people crafting the furniture. Only skilled experts in the field are allowed to make the furniture and their experience is used alongside traditional methods. Mortise and Tenon joints are used in every piece which provides unmatched construction quality which can handle a lot of strain. Each of these has design choices has been made by experts in the industry in an effort to make the best possible piece of furniture. This means a better look and feel to your unit. By using solid wood and skilled workers Kincaid have ensured that their construction quality remains uniform across their ranges. They have a long experience of creating beautiful furniture and put that expertise into their collections. The end result is very well made furniture which will stand the test of time. “We bought Kincaid furniture for our bedroom about 4 years ago. We also have a few pieces in our family room. I can't remember the name of our bedroom collection, but it is a shaker/contemporary look. We love it and have no regrets about our decision.” - Marcus D.
“take extra care of the furniture since it's solid wood. I think it's worth it, though.” - Ajax P.
Hardwood requires ongoing maintenance in the form of oils and rubs in order to keep it in the best condition. While this isn’t a lot of work it’s something you should certainly look into when selecting your piece. Kincaid offer a lot of guidance on maintaining your products. Overall the reviews are very positive and indicate that a Kincaid purchase is a good choice. Kincaid have a long history of working with wood and have shown themselves to be experts in the field. The experience and expertise they have has led to some innovative products being made which add a lot of value to the home. Kincaid are one of the most expensive furniture makers on the market and are certainly not one for those on a cheap budget. However in the furniture industry most of the time you get what you pay for and for the price Kincaid are offering some stunningly well designed and well made pieces of furniture. If you are in the market for another stunning wood made chair then I suggest the Eames Lounge Chair! Hardwood furniture is always the way to go if you can afford it and despite the price tag the longevity of the products means that long term it’s a great investment. If you’re looking for some new, sophisticated pieces for your home then be sure to check out Kincaid.